Ethical Problems and Genetics Practice provides a rich, case-based account of the ethical issues arising in the genetics clinic and laboratory. 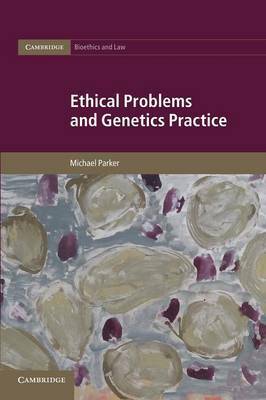 By analysing a wide range of evocative and often arresting cases from practice, Michael Parker provides a compelling insight into the complex moral world of the contemporary genetics professional and the challenges they face in the care of patients and their families. This book is essential reading for anyone interested in the ethical issues arising in everyday genetics practice. Ethical Problems and Genetics Practice is also a sustained engagement with the relationships between bioethics and social science. In proposing and exemplifying a new approach to bioethics, it makes a significant contribution to debates on methods and interdisciplinarity and will therefore also appeal to all those concerned with theoretical and methodological approaches to bioethics and social science.